Welcome to the Dyson Housewarming Giveaway event. Mom to Bed by 8, the Iowa Mom is proud to bring you this fantastic home essential and offer you the chance to win one too! Big thank you to our lovely co-hosts How to Have It All, Mark Your Savings and GiveAway Bandit. publication. My opinions are my own and may differ from those of your own. 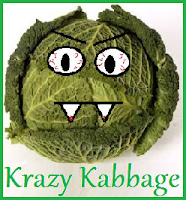 Krazy Kabbage is not responsible for sponsor prize shipment. I'd love to win this because I've wanted a dyson for so long but can't afford one!! We just moved from a place with one carpeted bedroom to a place that's completely carpeted except the kitchen and the washroom... our little vacuum wasn't built for this much vacuuming.